Comparison test. Fuji Fujinon XF 10-24mm f/4 R OIS Lens on a Fuji X-T1 compared to Sony E10-18mm f4 OSS Lens on a Sony a6000 - f/4 and f/8 Centre and edge - ISO 200 - processed from raw identically in ACR Photoshop CS6. Before discussing the results, it is true that ACR and Photoshop CS6 doesn't produce the sharpest results for Fuji X-Trans sensor files. So below is an example processed from raw using Photo Ninja. It's always interesting doing these type of tests, because they change my preconceptions. Before doing this I would have assumed that the Fuji lens was liable to produce the best edge sharpness. Based on my previous experience of using many Sony zoom lenses, that is what I would have expected. However it is the opposite. It's not that the Fuji lens is bad, it isn't far from it, but the Sony 10-18mm zoom seems to have excellent edge sharpness, even wide open. I guess I should have known this really. 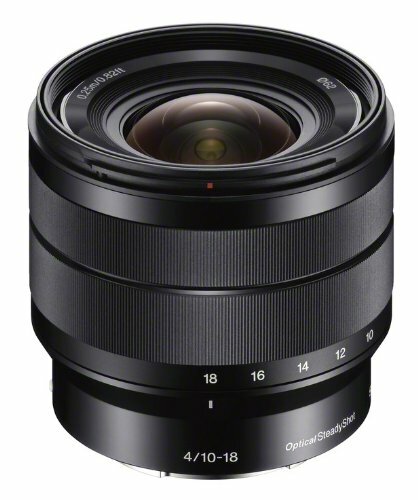 As I and others have already documented, the Sony E10-18mm f4 OSS Lens does work in the 13-15mm range on the 'full-frame' A7, A7r and A7s, with only minor and easily removable vignetting. This means that the lens covers a larger image circle than most lenses designed for APS-C sensors, thus giving the possibility of a better edge and corner sharpness. As you can see above the lenses are pretty similar in the centre, both giving excellent results. The Photo Ninja examples are a bit of a 'walk on the wild side'. Sharp but with wildly different colour renditions, neither of which are accurate incidentally. However both are very sharp and are typical Photo Ninja renditions. i.e. sharp but noisy. I like that, but not everybody does. Both of these wide-angle zooms are top class lenses and unless you need consistent sharpness across the frame, neither will disappoint. If you have bought into one system or the other then there is certainly no reason to change. However I must repeat how impressive the Sony lens is on the a6000. It does have VERY impressive across the frame sharpness. It also benefits from the higher pixel count of the a6000. The Sony is also the cheaper lens, though the Fuji obviously has a wider range of focal lengths. In 35mm 'equivalent' terms the Sony is an approximate '15-28mm' and the Fuji is an approximate '15-35mm'. ADDITIONAL COMPARISON - In a previous post I compared the Fuji 10-24mm to the Panasonic 7-14mm - LINK HERE. I never had the Sony 10-18mm and the Panasonic 7-14mm at the same time, so wasn't able to do a comparison between those two unfortunately. Bottom line is neither the Fuji Fujinon XF 10-24mm f/4 R OIS or Sony E10-18mm f4 OSS Lenses will disappoint. And if you are a mirrorless wide-angle fan, there are three great lenses out there with which to do your thing.